Loss is something we all experience, and all cope with differently. We often feel loss unexpectedly, and it comes as a shock. 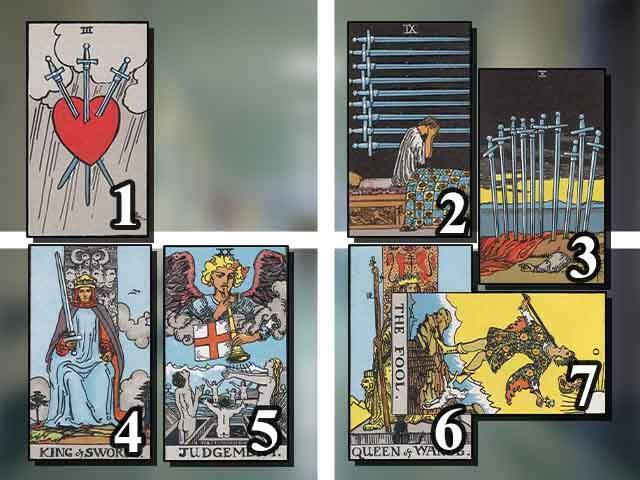 This loss spread is designed to help you understand your concerns and worries. A rather simple spread, with only seven cards. This card represents you, specifically you when you just found out about the cause of loss. Your initial concerns and solitary worries. This represents you, facing the cause of your loss alone, right now.